Building a standalone dedicated server wasn’t an easy thing to do and i know a lot of people struggle with it so i decided to make this wiki guide to try and help people. I’m going to cover the steps I took to build a Windows executable of a dedicated server. 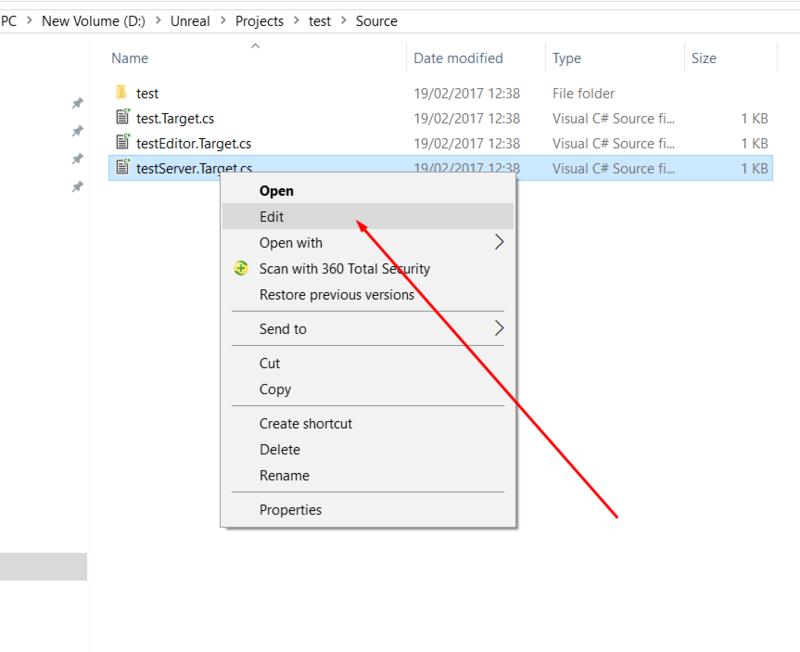 You’ll need a source-built version of the engine in order to build using the server solution configurations in Visual Studio. Note: to see the content of the link above you need first to create a git hub account and associate it to your epic games account, then accept the invite of epic games on GitHub. You will then need to click the link and login to your account. extract and unzip the zip file to a location of your choice. If you are using visual studio 2017. Instead of clicking on the GenerateProjectFiles.bat as shown above. Open up a CMD prompt window. 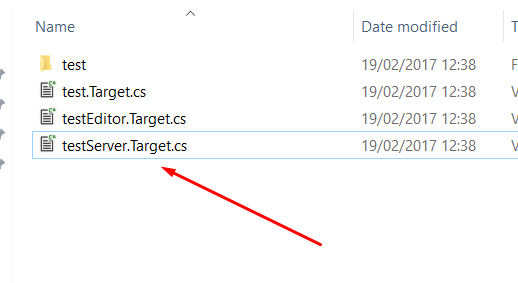 Navigate to the folder where source built unreal files are by using the cd (change directory) command. Once inside the correct directory you need to run the following command. 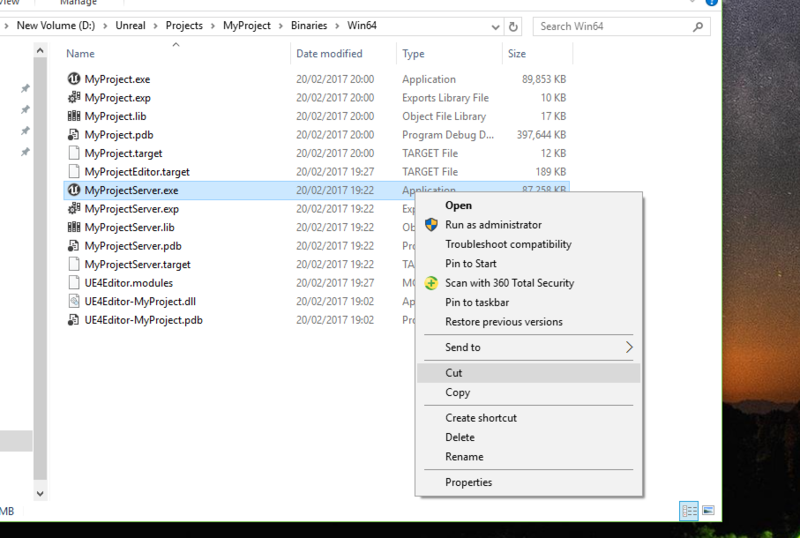 "GenerateProjectFiles.bat -2017"
now open this solution file and it will open visual studios and begin loading the source code. note the first time you open the solution it normally takes a long time to parse all the header files . make sure you let it completely finish until it says ready at the bottom before you continue. 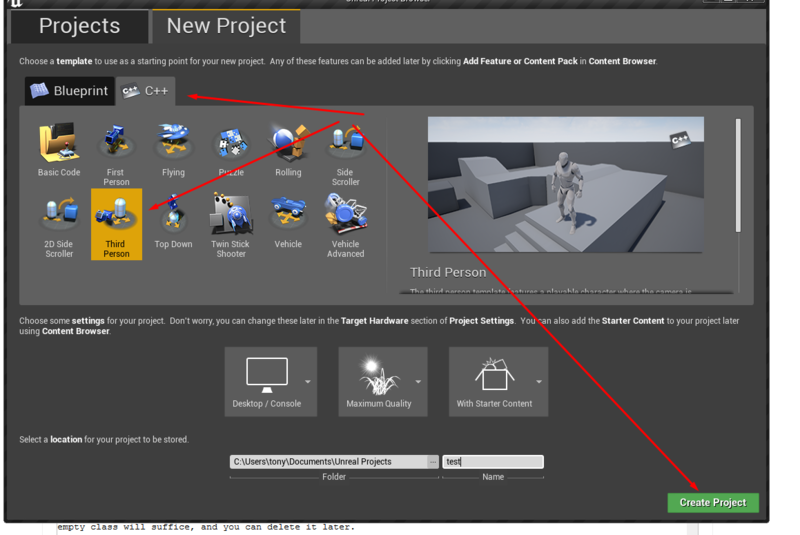 once complete you then need to right click on ue4 again in the solution explorer and go to "set as start up project"
just click yes and the editor will begin to open. note again the first time it may take a while to open and can appear to be stuck on a certain percentage as if its frozen. just be patient and it will open. it will compile all the shaders as well which can take a while the first time. What i do now is right click and add to task bar so that next time you can just open the engine directly rather than having to open visual studio and do it that way. 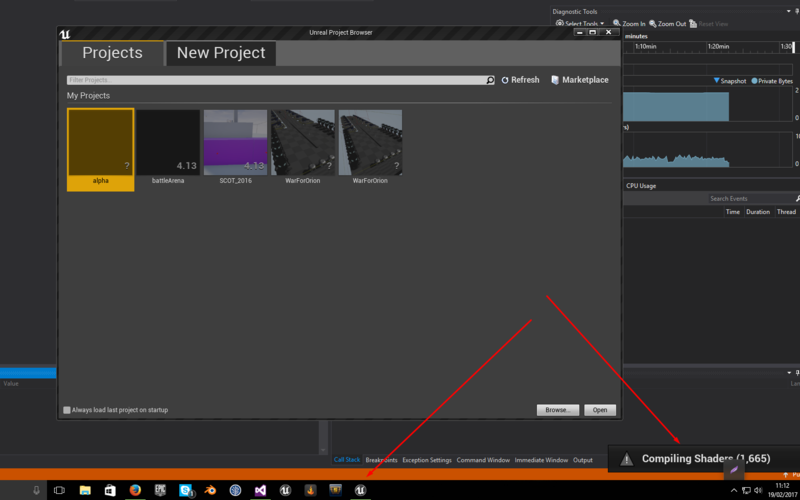 once the project and visual studio have finished completely loading, close them both down. Note again wait until the header files have all been parsed in visual studio before closing. it may prompt you to save just click ok.
if your project was made with a none source or different engine version or was simply only BLUEPRINTS to begin with you will not be able to make a dedicated server until you add some c++ code. So simply go to add new, c++ class, an empty class will suffice, and you can delete it later. 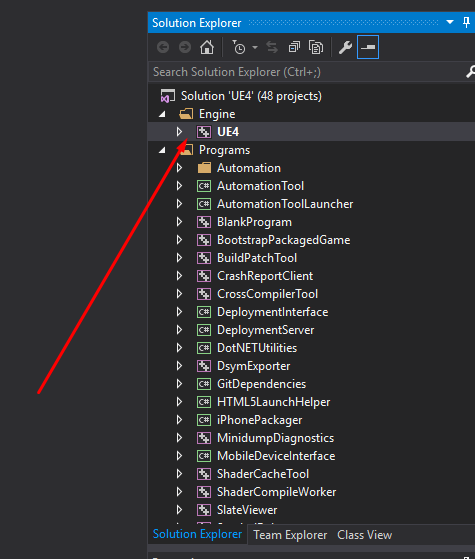 Once you have a source directory, right click on the .uproject file and generate visual studio project files. 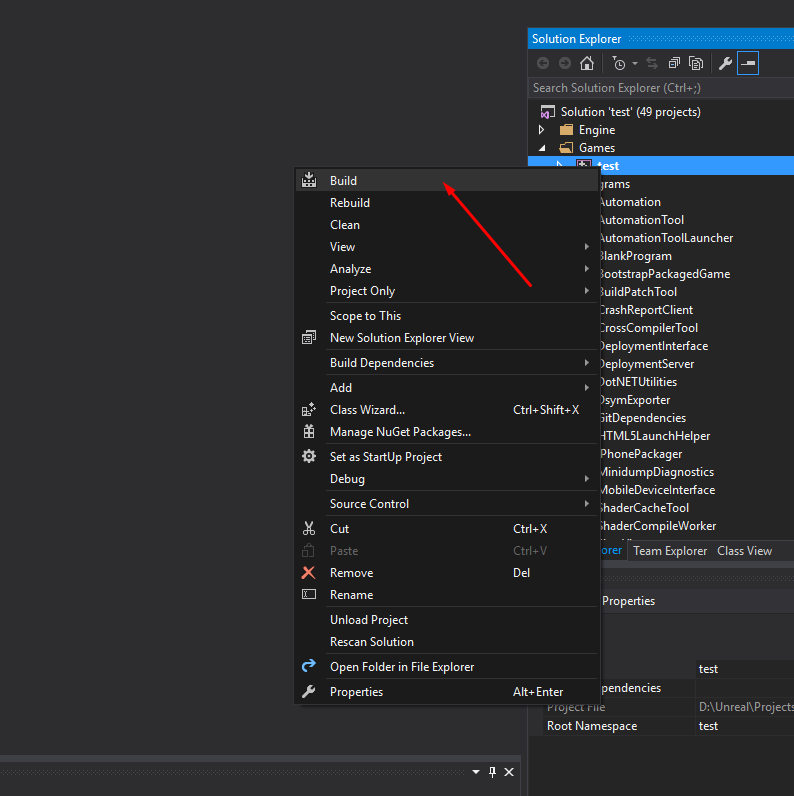 This should create an .sln in the project directory that you can open in visual studio. this will normally bring up a notepad so you can edit the file , although you can use any kind of text or code editor you wish. notepad is just quick and easy. Now just save the file with the same name and close it. 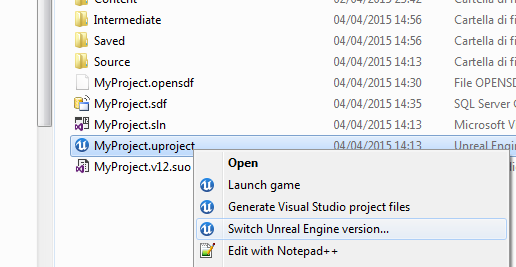 next inside the project folder right click the uproject file and when the menu pops up select "switch unreal engine versions"
then follow this step below from the read me file. One last thing. 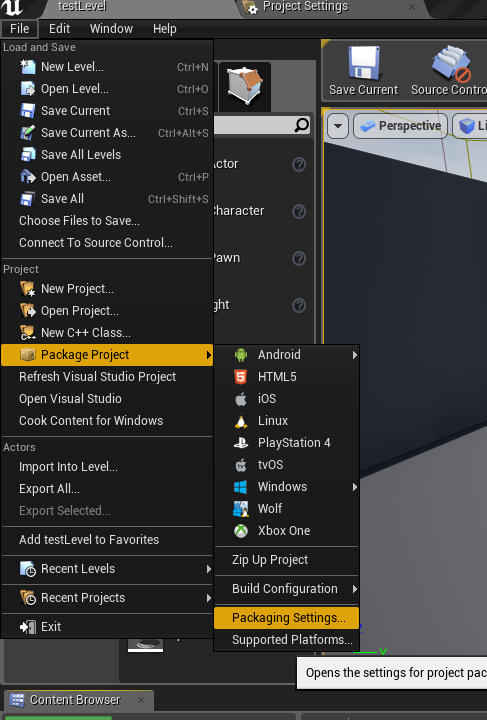 You’ll want to setup your Windows shell so that you can interact with .uproject files. Find the file named UnrealVersionSelector-Win64-Shippping.exe in the UnrealEngine/Engine/Binaries/Win64/ folder and run it. 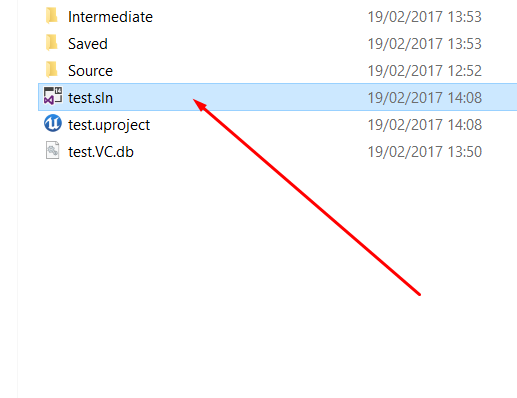 Now, you’ll be able to double-click .uproject files to load the project, or right click them to quickly update Visual Studio files. This should now allow you to right click on the uproject file to bring up the menu. 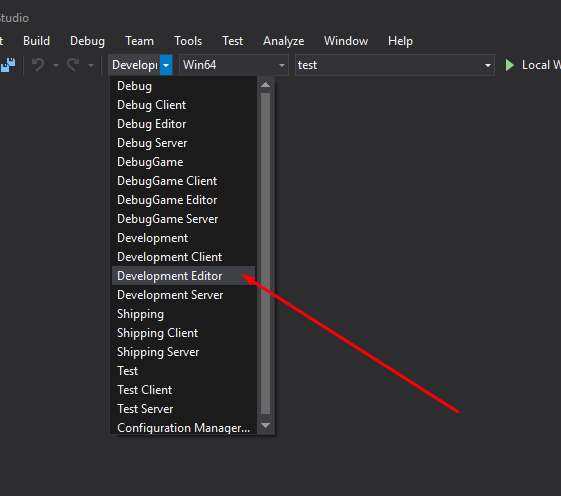 when you click switch engine versions make sure that your source build version of the engine is selected in the drop down box and click ok.
this should automatically regenerate the visual studio solution project files . 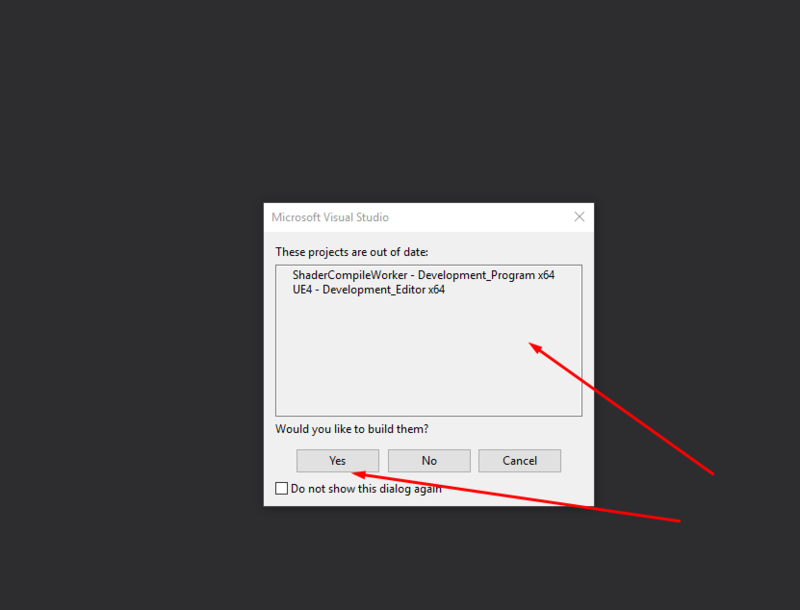 if it does not then it means your files are already up to date but just to be safe you can right click the uproject file again and click "generate visual studio project files"
next open up the visual studio project solution and allow it to fully load until it says ready. again depending on youre computer this can take a long time to complete. again depending on your computer this can take a long time to complete. 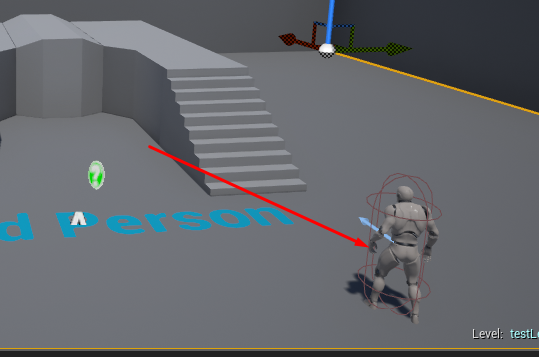 With source built unreal when you go to build the lighting it is common for the following error to occur and it took me forever to find the solution so i am including it here to save you guys the headache. 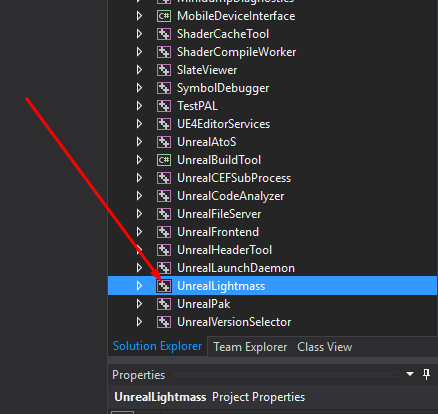 so what you do is in your solution explorer in visual studio scroll down until you see "unreal lightmass"
and again like before right click it and click build. when it has finished close visual studio and now the swarm bug error should be fixed. 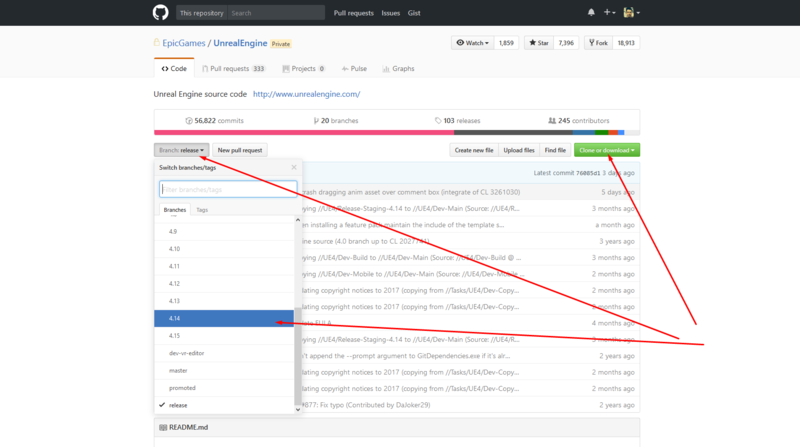 now open up your project again by clicking on the uproject file. 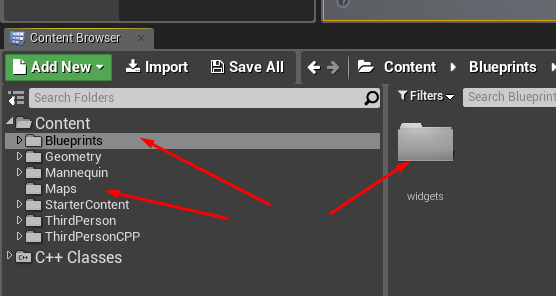 ok so the first thing we need to do is under the content folder is add two new folders . one called maps, the other blueprints. 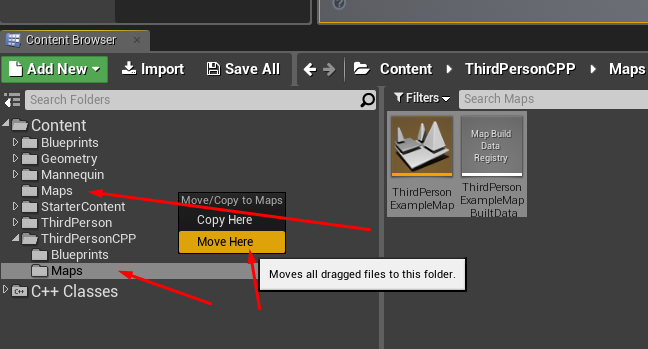 then we need to go down to where the third person example map is stored and move it into your newly created map folder like so. rename this to test level or whatever you like. this will be the level that the player loads into the server on and plays the game . 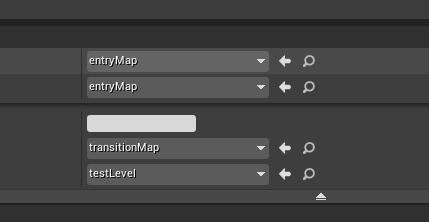 as of engine versions 4.14+ whenever you make a new map you must open the map and then click on build so that it generates the correct mapBuildDataRegistry Files for it. once this is done then click save all. again dont forget to build each time on the new map to make sure the data is saved correctly. in this blueprint drag off from begin play and find the open level node. in the level name set the parameter to 127.0.0.1 this is your local ip address. compile and save and close the blueprint. finally open up the test level map and just click on the default character that is in the map and just delete him otherwise when you join the server you will end up with duplicated characters. so open up the project settings and then go to maps and modes. now close the settings and package the project. 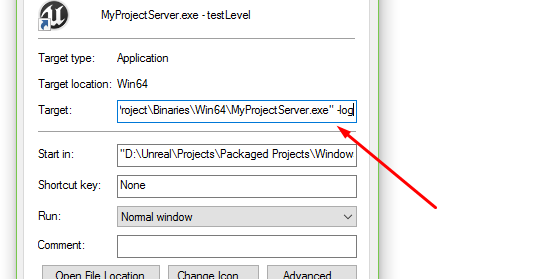 go to your project folder, then binaries, win 64, and find the file called "yourProjectNameServer.exe" and right click it and copy it. next go to your packaged game location. then WindowsNoEditor, then the name of your project, binaries, win64, and paste in the server.exe like so. Now we are ready to launch the dedicated server and test level. here you can see the ip address of the computer hosting the server, you can see the server is listening on port 7777 which is the default unreal port, and it has loaded up the test level map as we set out in our project. Your server is now running all that's left now is to click the project.exe to join the server. this means the player has successfully joined the dedicated server. 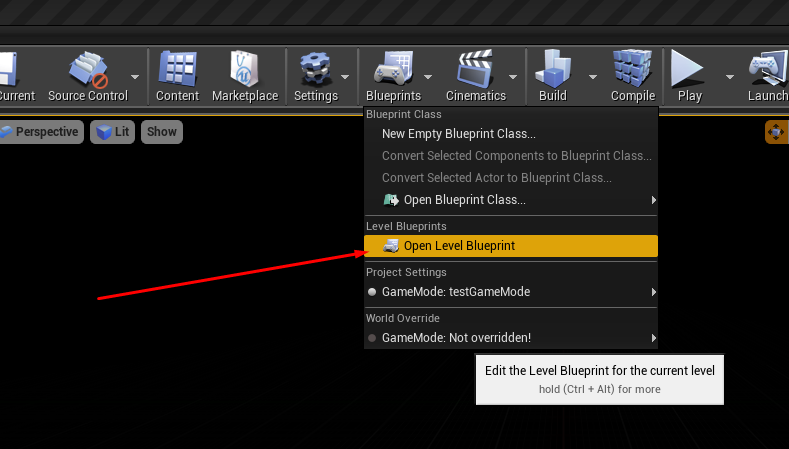 if you want to allow friends to join your games etc then simply go back to your project and on the entry level, open the level blueprint and instead of using your local ip address, input your real public ip address. to find this simply type in to google "what is my ip" . or use an ip address finding program etc. also remember that when you make changes in the game you need to repackage the game . so once you change the ip address to your real public ip make sure to repackage the game before you send it to your friends. also you might need to rebuild the server binaries in visual studio. 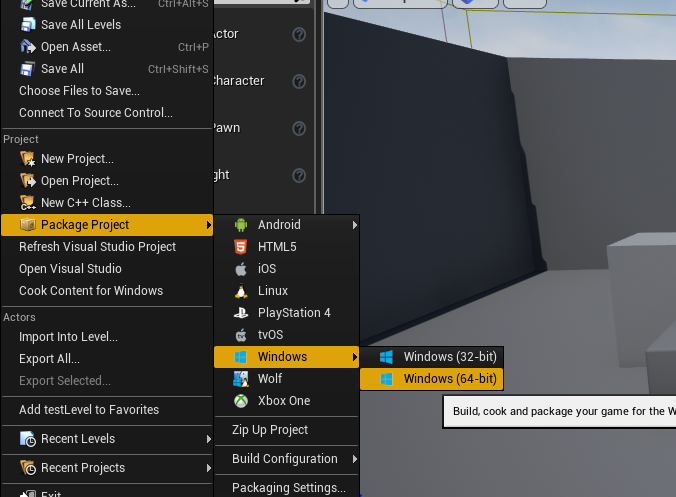 once package is complete then zip up the whole windows no editor game folder and send it to youre friends. start the server your end , then get the friends to open the game executable and join your game. if your friends are unable to join your game it will be because you do not have the ports forwarded and setup properly on your router, and you may need to set up a static ip address. log into your virtual server, open up the internet and download the game package. unzip it and then launch the server shortcut as normal. Not sure if this is still relevant in engine 4.14+ but ive left it here just in case. from original wiki authors. 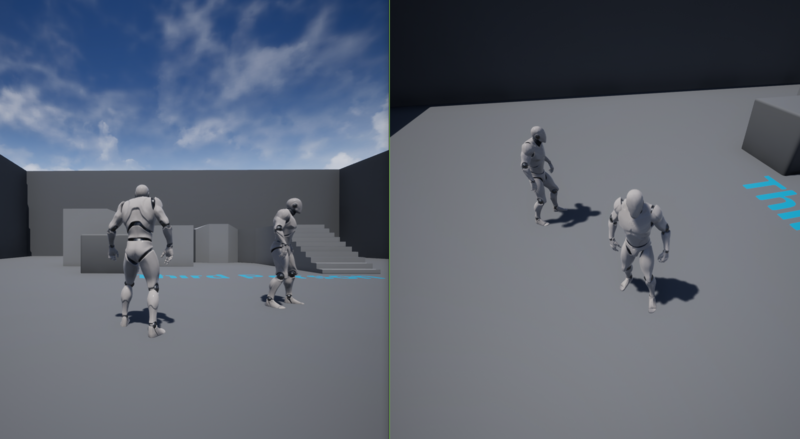 As of 4.4.3, if you’re replicating actors whose movement depends on simulated physics, you’ll need to set their SkeletalMeshComponent.bEnablePhysicsOnDedicatedServer property to true. The standalone dedicated servers return true to IsRunningDedicatedServer(), which results in prevention of physics simulations for SkeletalMeshComponents that do not explicitly set the bEnablePhysicsOnDedicatedServer property. Thanks to user HateDread for pointing this out for me. 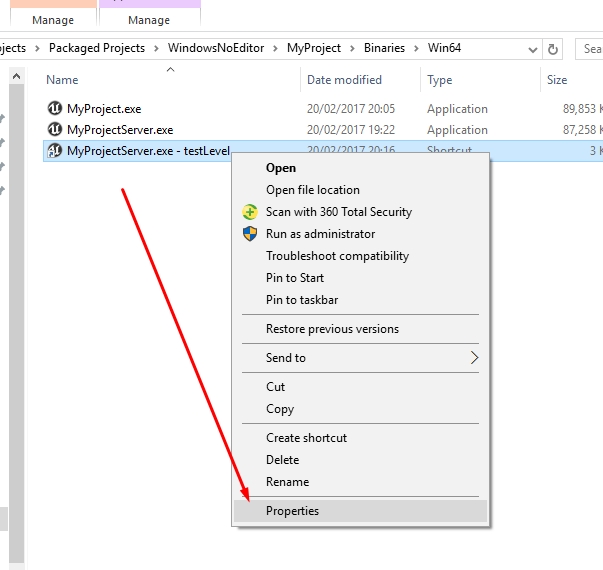 In a prior post I covered the basics of building a standalone dedicated server executable for Windows from a UE4 game. This post will cover packaging, building, and deploying a Linux binary. Epic have provided a prebuilt cross compilation toolchain for building Linux binaries from Windows. Follow the installation guide on the wiki: https://wiki.unrealengine.com/Compiling_For_Linux. Thanks to Osman for pointing this out to me. In order to compress everything you’ll need to deploy and run a standalone binary, you should package your project somewhere outside of your project’s working directory. The resulting file structure will contain the essentials. Open the editor and package your project for Linux. Choose a distinct destination for the build (eg, ~/Desktop/MyGameLinux/). Once this completes, you should see a client build for Linux in the destination you chose. 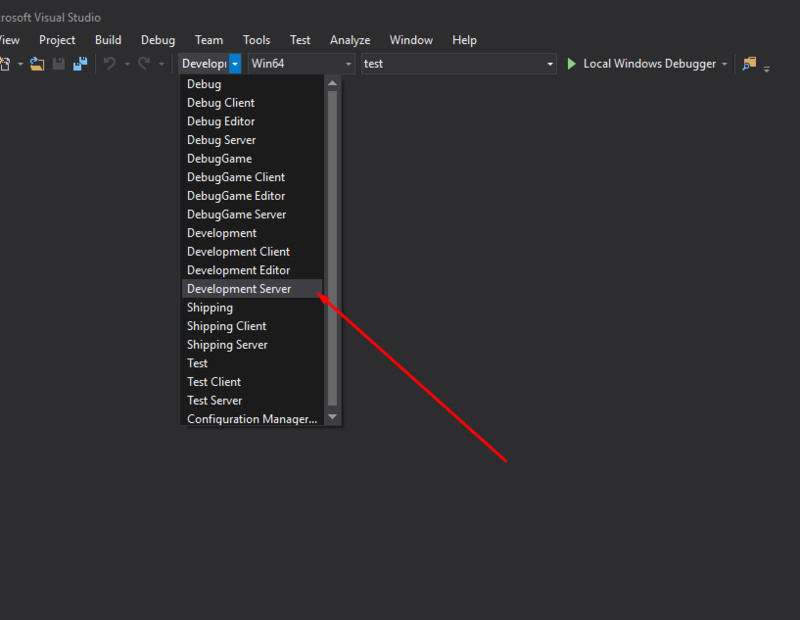 Open your project solution in Visual Studio, select the Development Server configuration (or whichever server configuration you’d like to use) and build for Linux. Make sure you’ve followed the previous guide and that your Server target is correctly setup. When the build completes, you’ll have a new server binary in your project’s working directory (../MyGame/Binaries/Win64/MyGameServer). You’ll need a Linux machine to deploy and run your server. I’m using a Google Compute VM for testing, but EC2 or any other cloud provider should suffice for now. I haven’t done any research or benchmarking to determine which provider, OS, and machine type is ideal for running UE4 dedicated servers. to perform the secure copy, depending on your ssh configuration. You may need to append `-i ~/.ssh/<your private key>` again here. Okay, now kill it with Ctrl+C because we have to open up allow connections on UDP:7777. After rebooting your machine you should be able to run the server executable. Most cloud VMs default to fairly tight security so you’ll probably have to manually open port 7777 (the UE4 server’s default port) to accept UDP connections. I’m not going to cover the specifics of this because it can vary by machine and provider. For a Google Compute VM you can just create a forwarding rule with the CLI. Other machines will require that you modify the iptables. Enter text on either console and it should appear in the other. You should see a join in your server log, and your client pawn should spawn into whichever map the server is currently running. At some point of time (around Unreal Engine 4.4.x), Linux servers required glibc 2.14+, which made it unable to run on Debian-stable (back then Debian 7 'wheezy'). This was a temporary issue not experienced in previous versions, and it was fixed in later ones. Cross-toolchain provided with the Unreal Engine targets glibc 2.12.2, which is old enough to run on most contemporary distros, including Debian-stable and even CentOS 6.x without hassle.